The vehicle went on to the railway near Fitzwilliam, West Yorkshire, on Wednesday night. Campaigners are still calling for an inquiry into policing of one of the most violent days of the 1984-85 miners’ strike. Police are attempting to identify the man, who was found by senior pupils from the High School of Dundee. 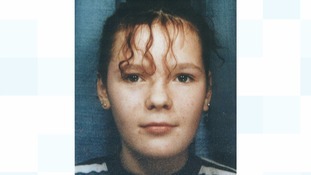 A second man has been arrested on suspicion of the murder of a schoolgirl who went missing more than 20 years ago. A fund has been started to pay the £30,000 legal fees of an 83-year-old farmer who was cleared of shooting an intruder on his land. What does Yorkshire think of Brexit? ITV News Political Editor Robert Peston has travelled to Yorkshire to find out the views of voters in an area which voted to leave the EU. A man in his 60s has died after a suspected gas explosion destroyed a house in Yorkshire. Police think the victim was the only resident inside the property in Haxby, near York. Several other homes were also damaged in the blast. Adam Nicholson and Becca Piwinski are preparing for the "most northern wedding ever" when they say "I dough" in July. Despite weeks of heavy rain that inundated the surrounding areas, the town of Pickering in North Yorkshire stayed safe from the floods simply by working with rather than against nature. Pickering flooded in 2007 but couldn't get funding for a flood barrier. Instead a smaller, and cheaper reservoir to store water and let it out slowly was built further up Pickering beck. In addition, 167 small, leaky dams were built out of logs and branches and trees were planted.